In the latest annual Autumn Statement, the Chancellor of the Exchequer announced the measures that will come into effect in April 2017. These are, mainly, financial and tax matters, but the advance warning allows employers to prepare and ensure they are not breaching employment or tax legislation. The statement has confirmed the forthcoming increases to the National Living Wage and the National Minimum Wage. The National Living Wage will increase from £7.20 to £7.50 per hour. This is the first increase to the rate for workers aged 25 and over since it was introduced in April 2016. Although the rise seems significant, it is lower than the projected increase to £7.64 that was proposed earlier in the year. The government and HM Revenue and Customs (HMRC) have increasingly focused on employers underpaying the minimum wage and, in August 2016, it led to the highest number of employers being ‘named and shamed’ for it. The announcement that the government will invest an additional £4.3 million per year to enforce this shows their continued commitment to the cause. This money will fund HMRC teams that will target and review the employers they consider are most at risk of not complying with minimum wage laws. This could result in them targeting certain industries, locations or businesses to ensure that workers get the correct pay. The statement confirmed that the income tax personal allowance will rise to £11,500 for basic rate taxpayers with the higher rate threshold increasing to £45,000. 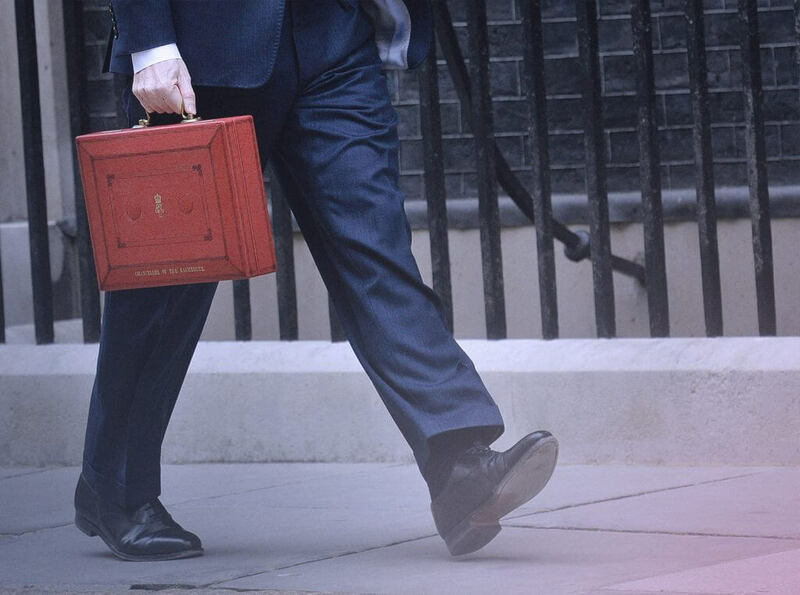 The Chancellor reiterated that the government will meet their commitment to increase the income tax personal allowance to £12,500 for the basic rate and the higher rate band threshold to £50,000 by the end of this Parliament. However, in a change to the current regime, the Chancellor stated that once the basic rate personal allowance has reached £12,500 it will revert to increasing in line with inflation, rather than in line with the minimum wage as it currently does. It will then be up to later Chancellors to decide whether to make additional increases over the rate of inflation. The employer and employee National Insurance thresholds will align. This will mean that both parties will start paying National Insurance on weekly earnings above £157. This change is aimed at simplifying the payment of National Insurance for employers and will be welcomed by small businesses. As has previously been proposed by the government, the statement confirmed that termination payments over £30,000 that are subject to income tax will also be subject to employer National Insurance contributions. Where the employee is not working their notice, as is common with payments in lieu of notice, tax will be applied at the equivalent of the employee’s basic pay. This will take effect from April 2018 and will reduce the financial advantages of paying large sums of money to employees to terminate employment. The Chancellor further clarified another pre-statement proposal relating to salary sacrifice schemes. The government will remove the income tax and employer National Insurance advantages of receiving perks through salary sacrifice. This will not affect schemes relating to pensions, childcare, cycle-to-work schemes, nor ultra-low emission cars. Any arrangements already set in place by employers before April 2017 are protected from this change until April 2018. In addition, salary sacrifice arrangements relating to cars, accommodation and school fees will be protected until April 2021.